Try making these easy, decadent fried breads recipes. 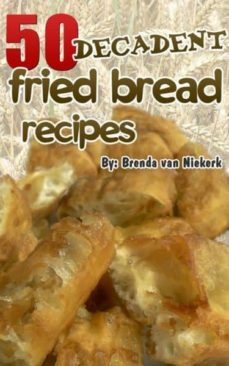 Some of the recipes within the book: Swedish Rosettes, Maori Fried Bread, Hungarian Langos, Dutch Oliebollen, North American. Blackfeet, Cajun Bread, Johnny Cakes, Sweet Milk Griddle Cakes, Sour Milk Griddle Cakes, Fried Biscuits, Native American Chickasaw, Scottish Bannock, African Mandazi, Shahi Tukri, Paratha and much, much more...... This recipe book contains delicious, easy to follow recipes.